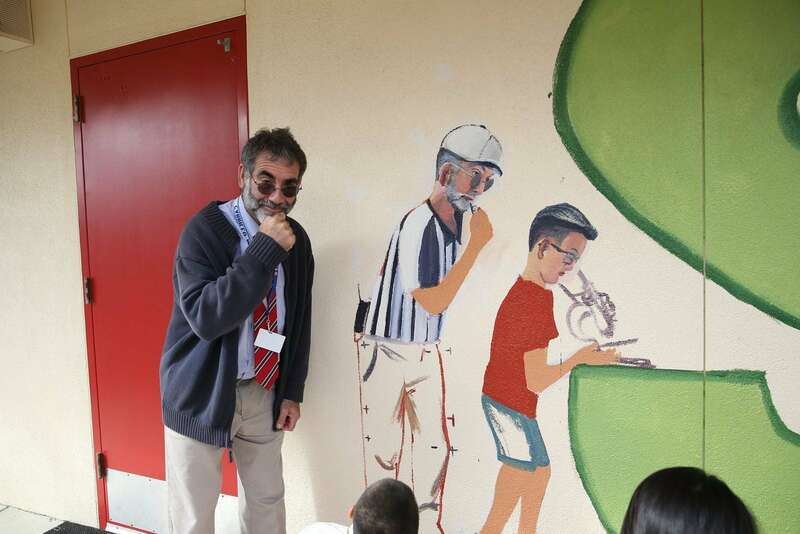 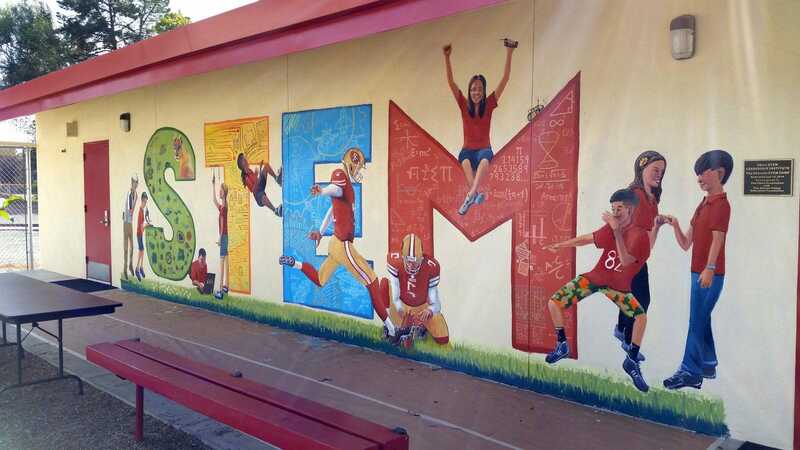 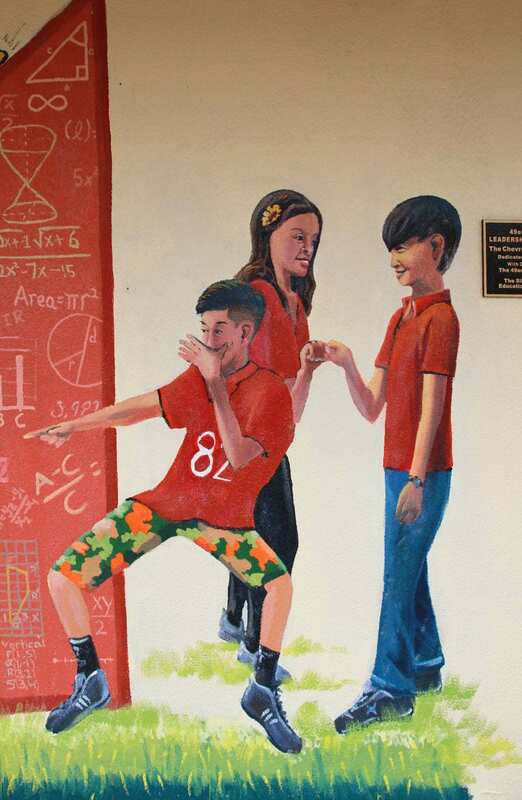 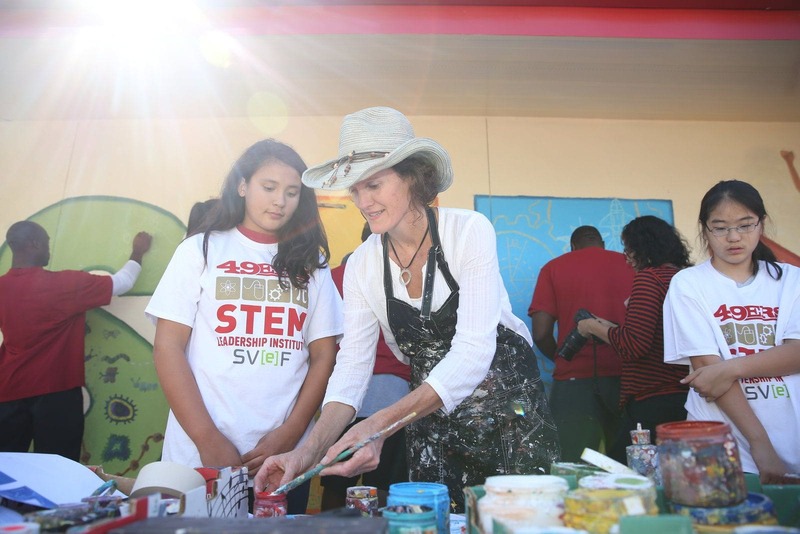 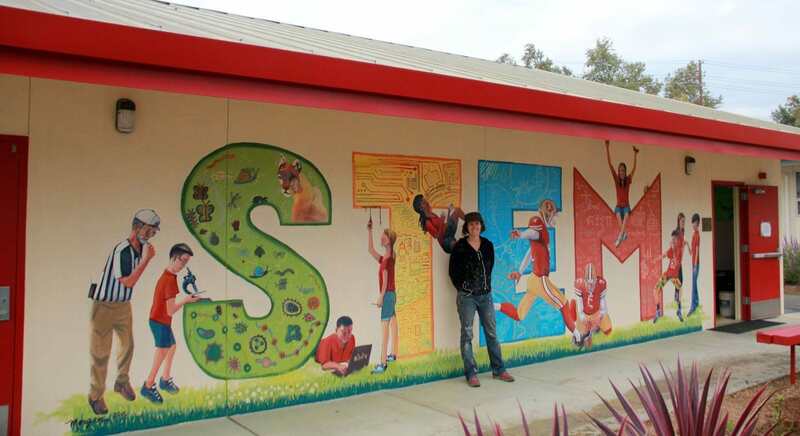 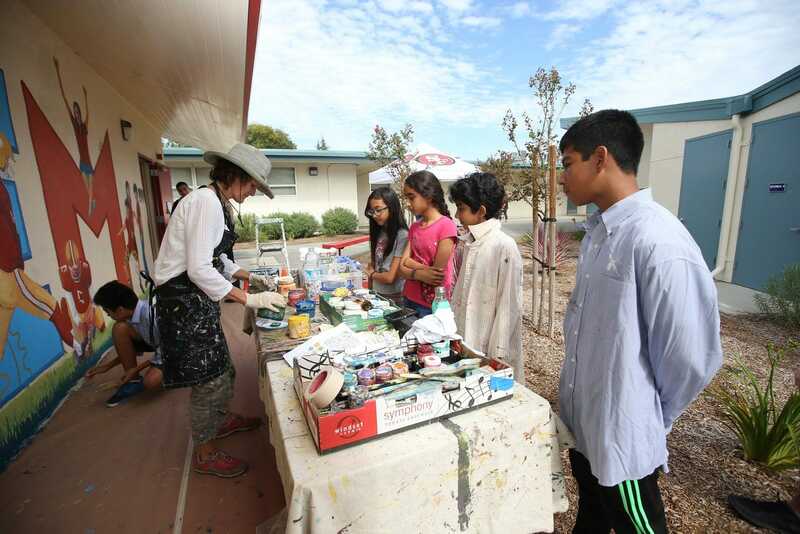 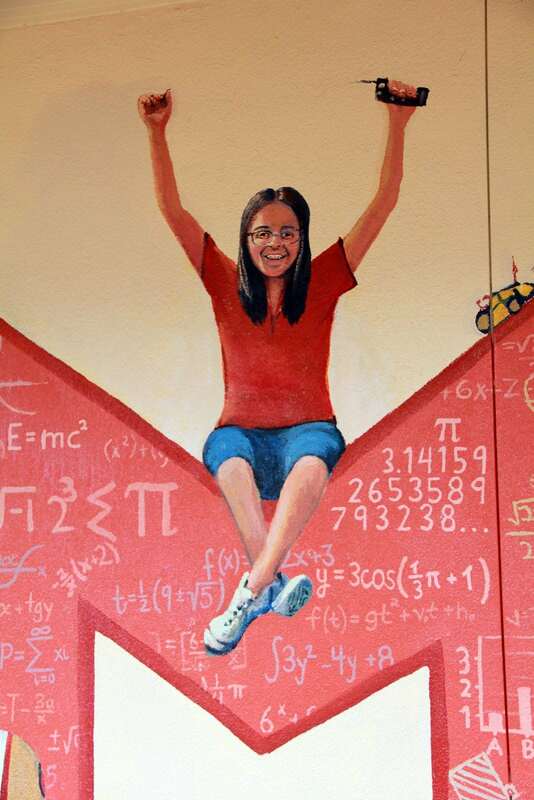 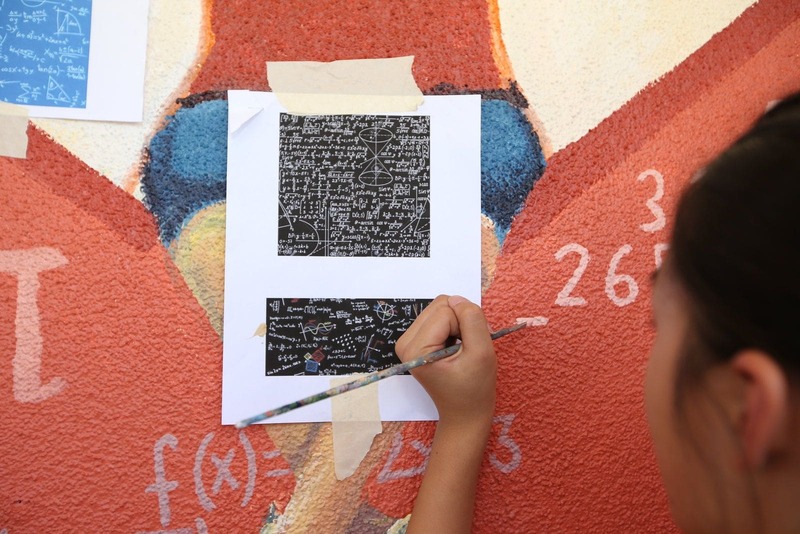 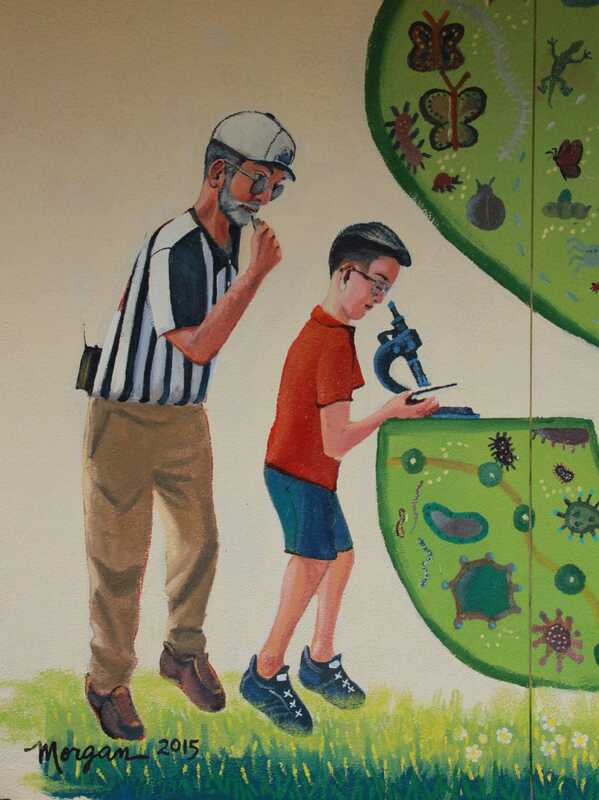 This STEM lab and mural was funded by the 49ers Foundation and Chevron Corporation at Cabrillo Middle School in San Jose, CA. 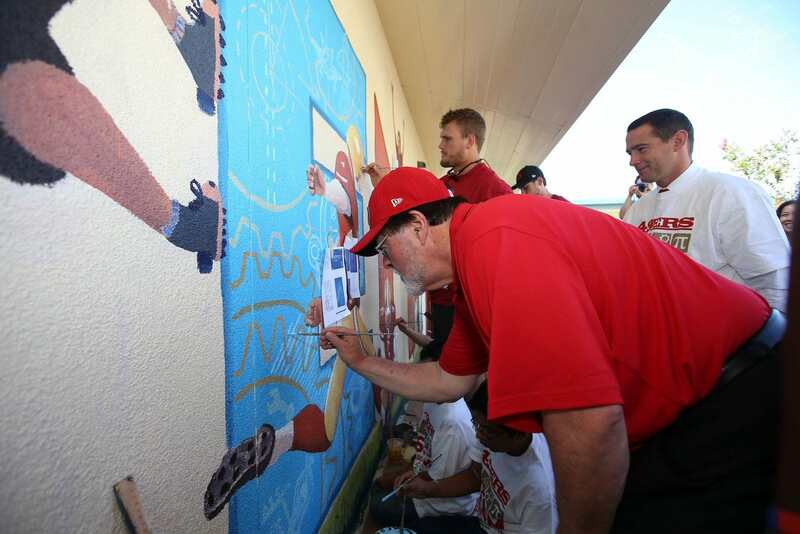 The students and players worked together to help me complete the mural. 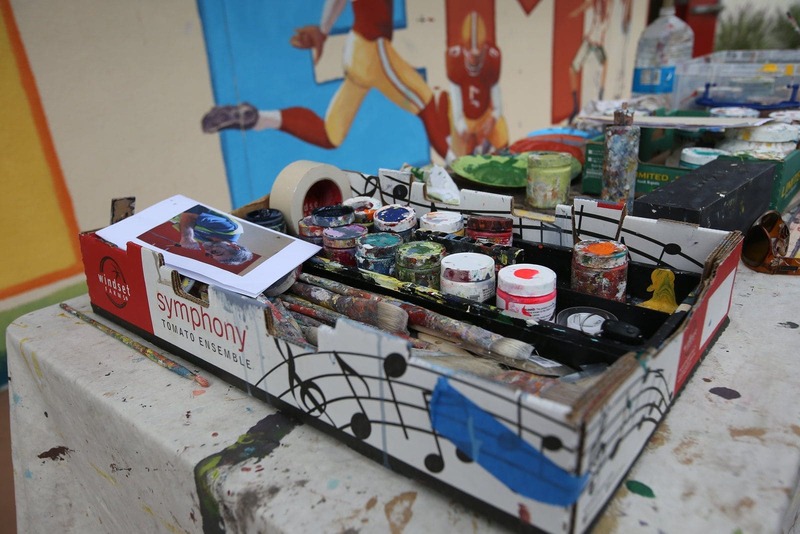 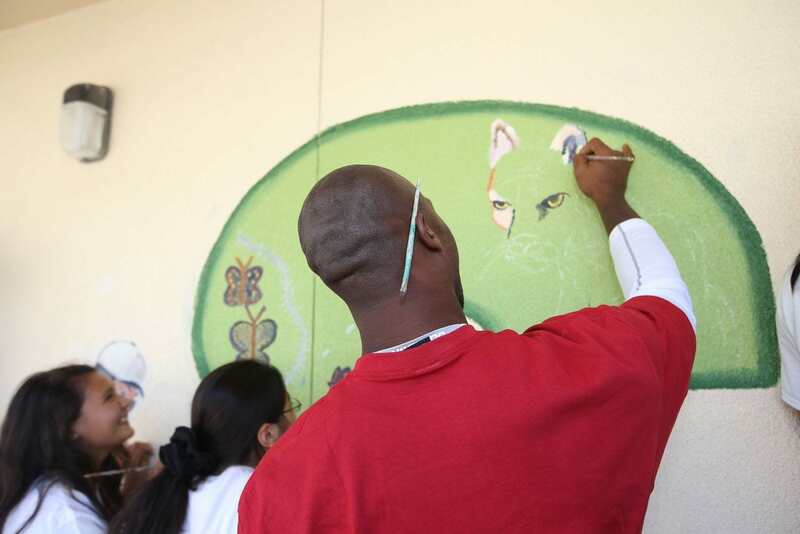 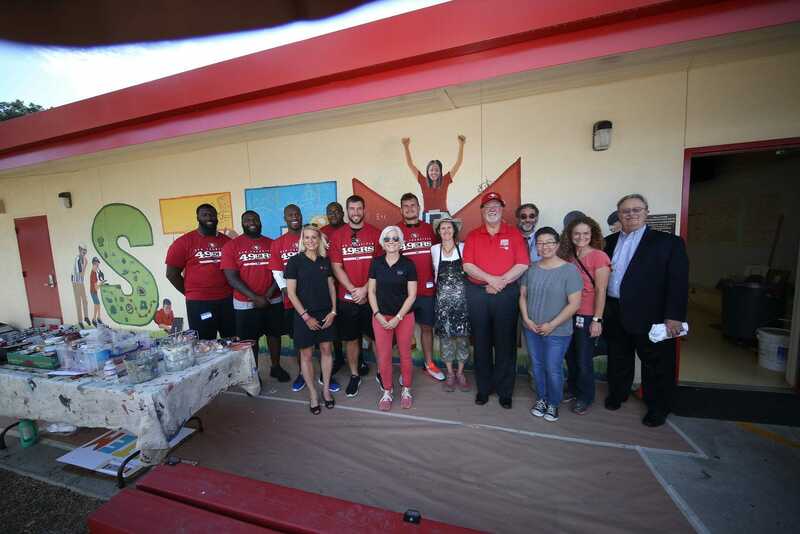 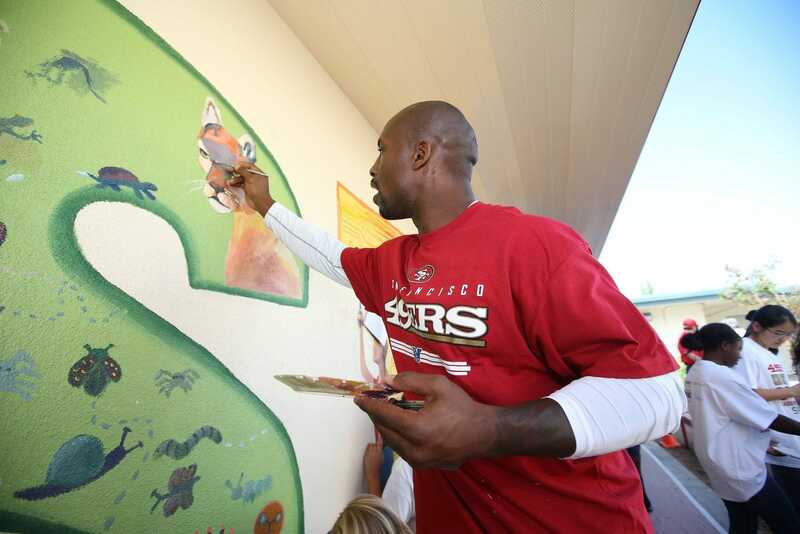 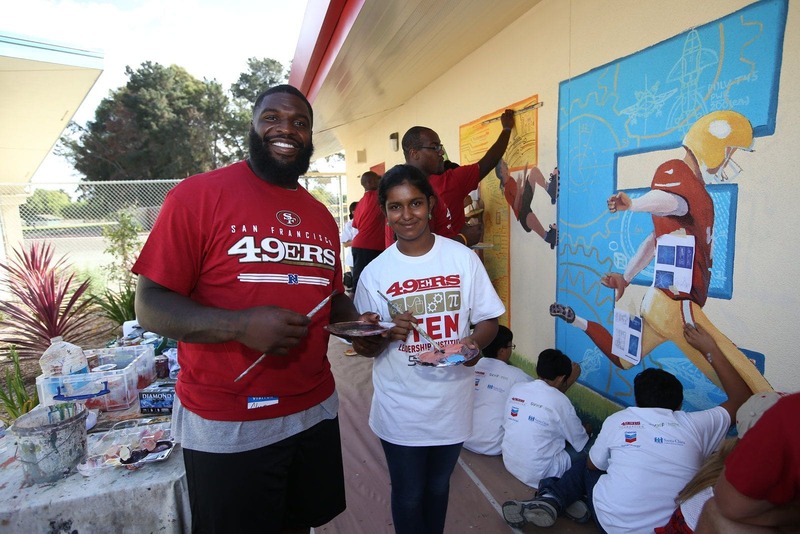 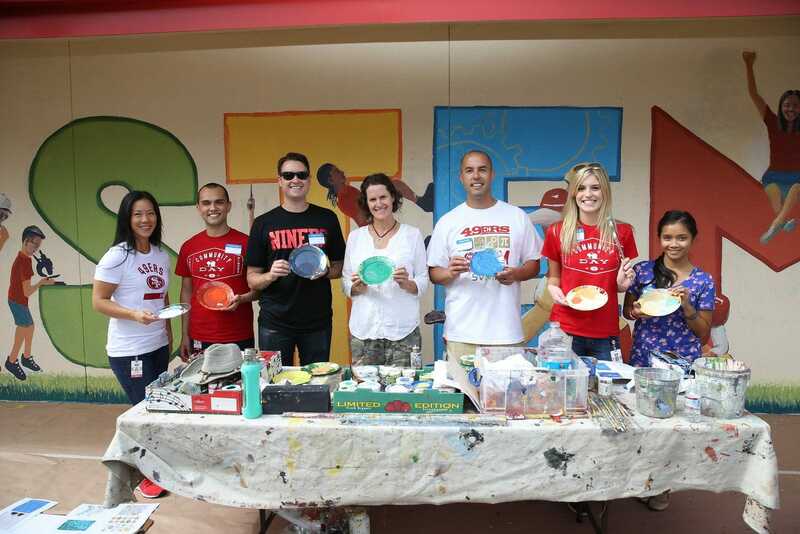 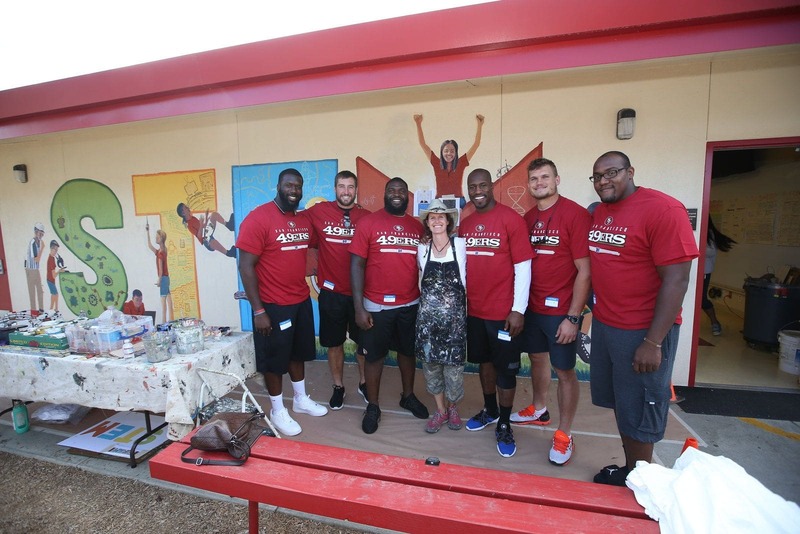 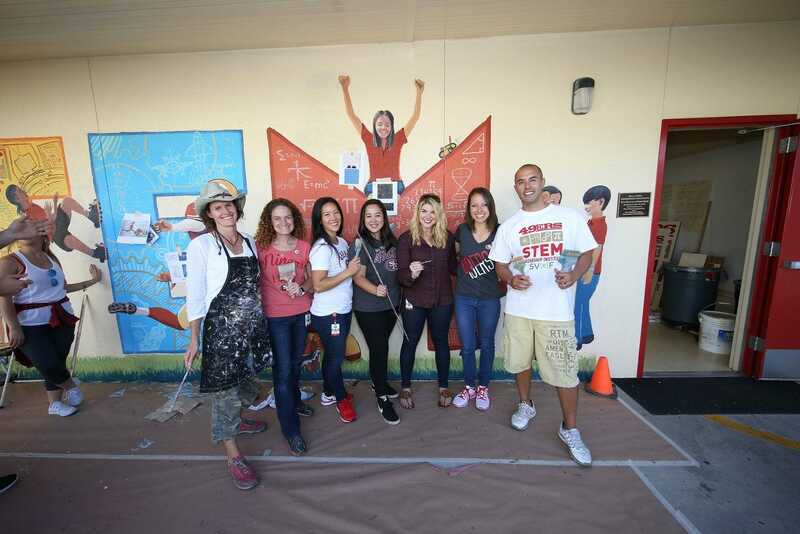 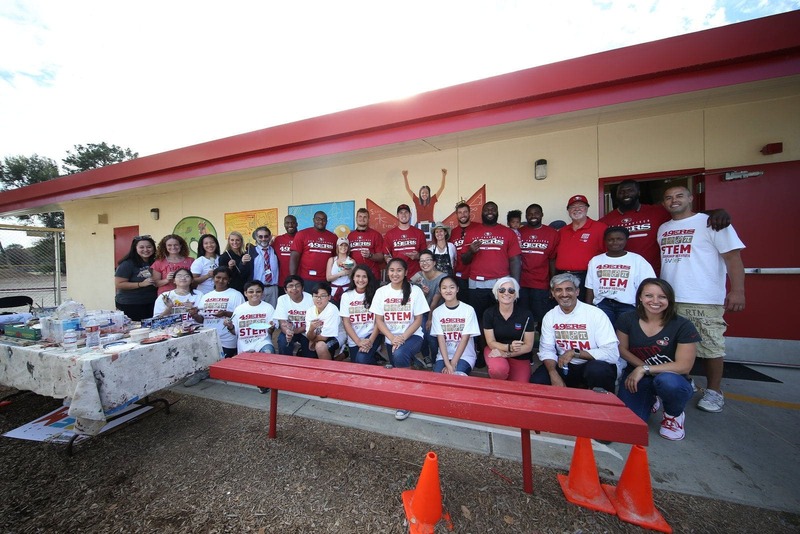 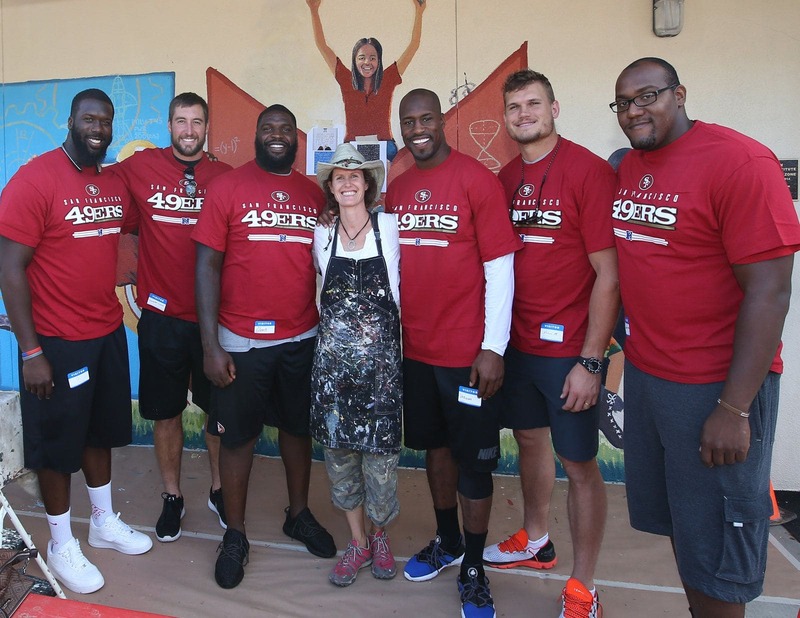 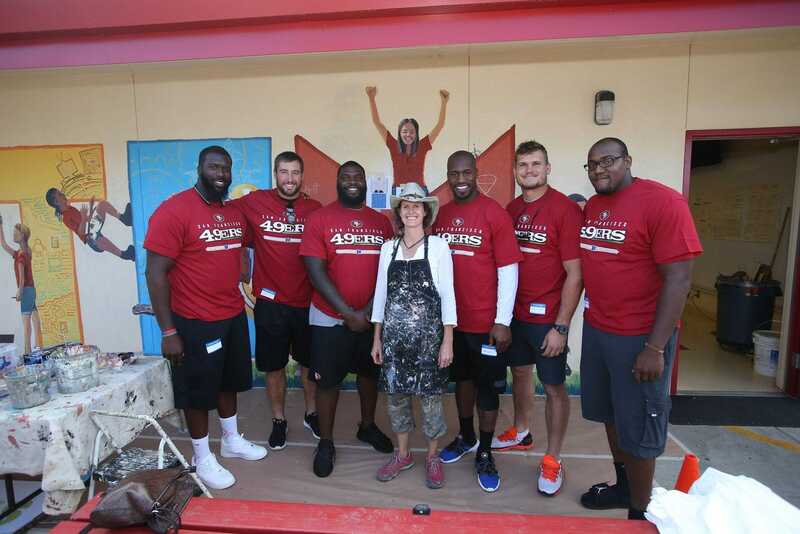 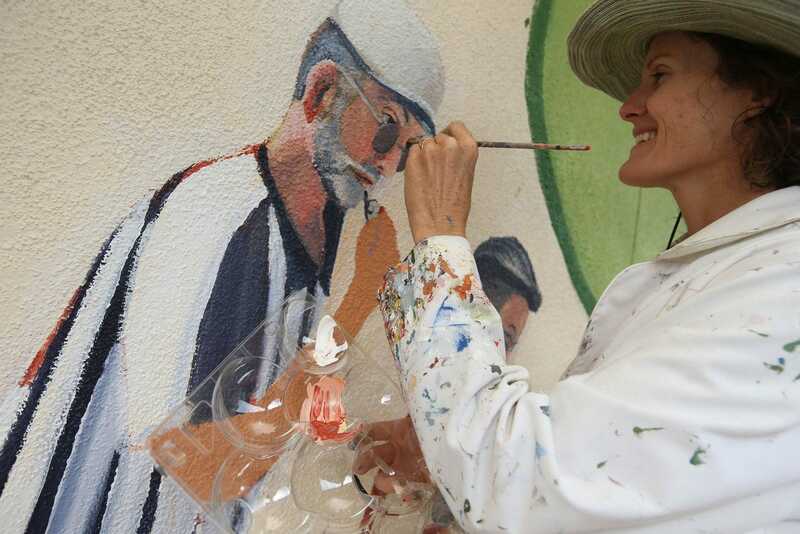 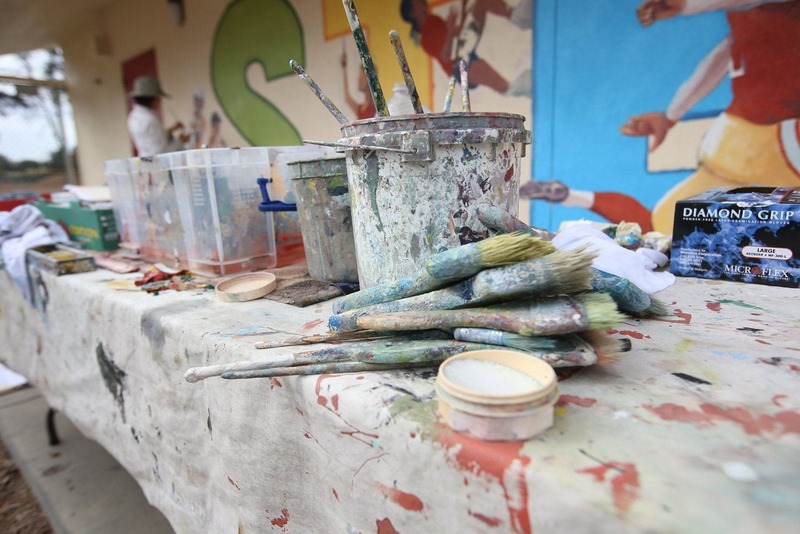 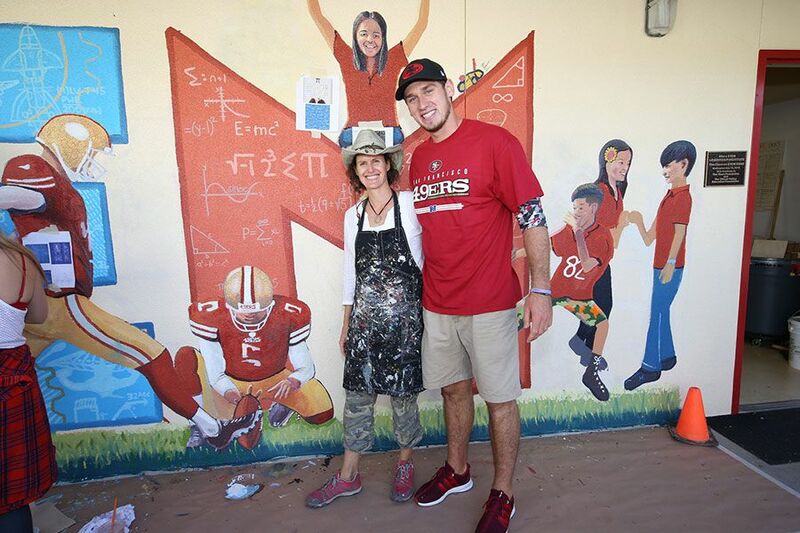 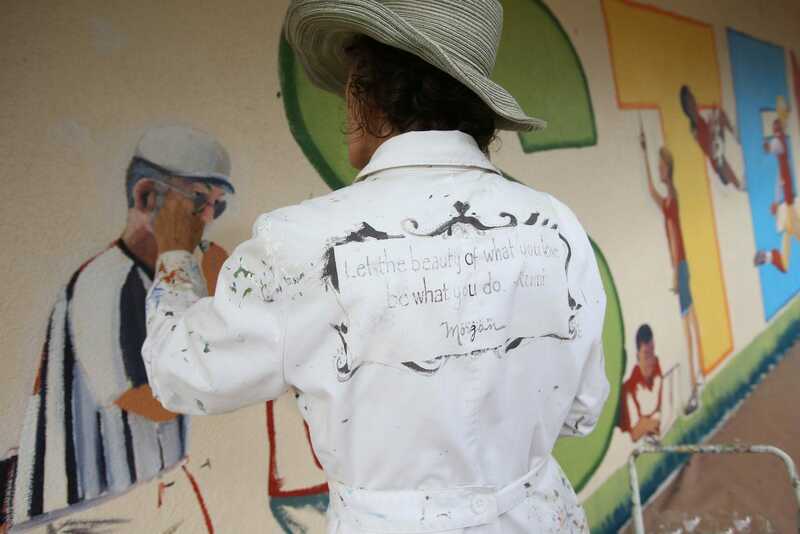 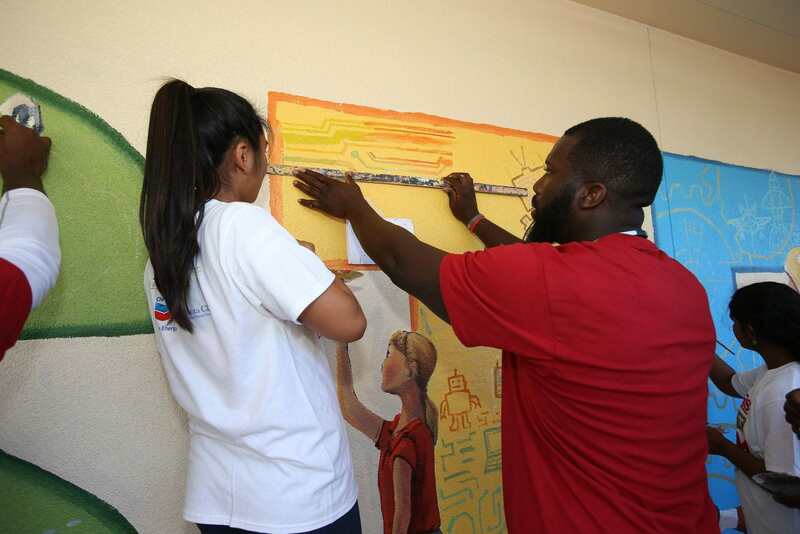 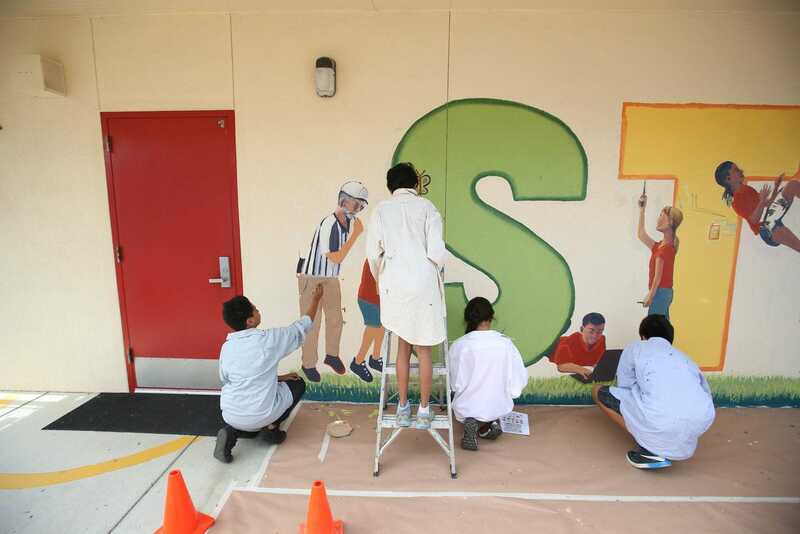 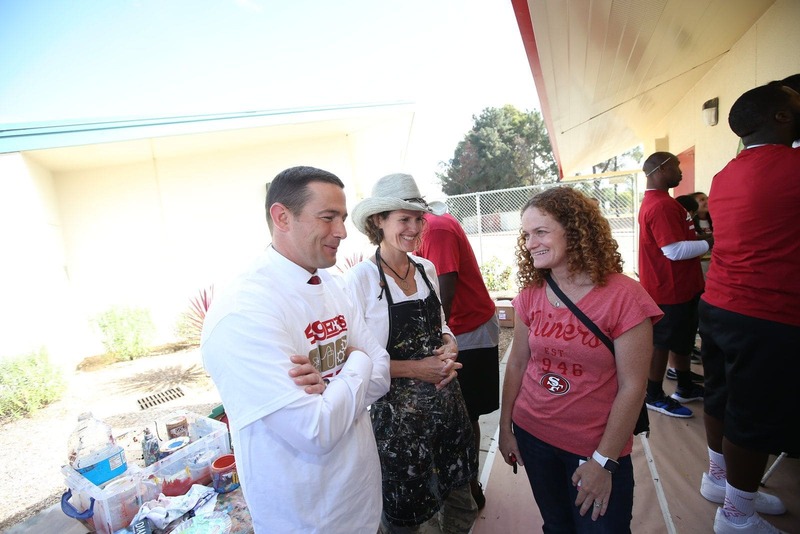 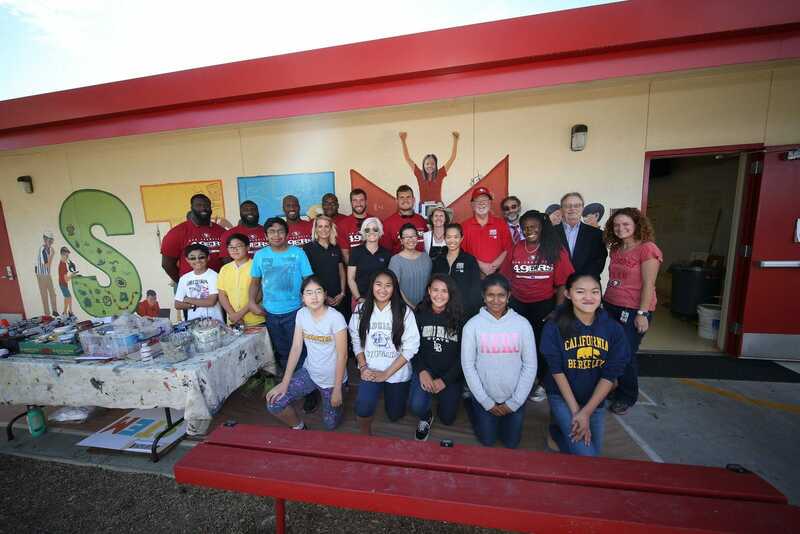 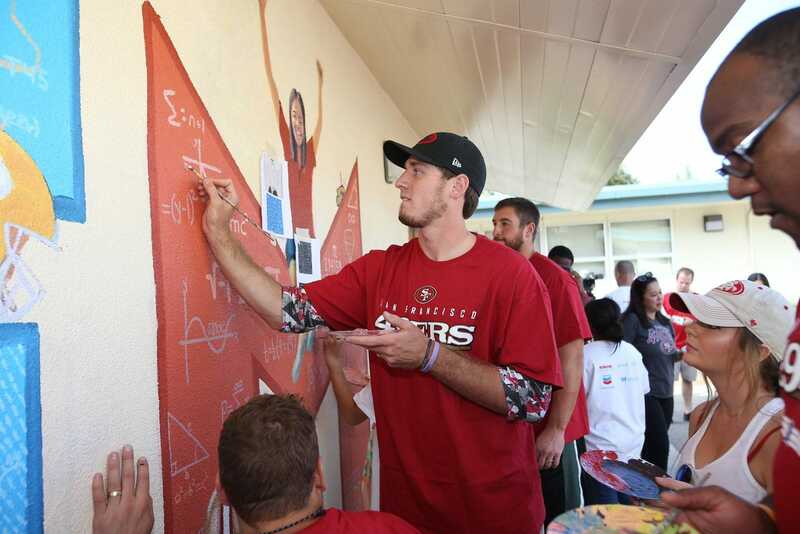 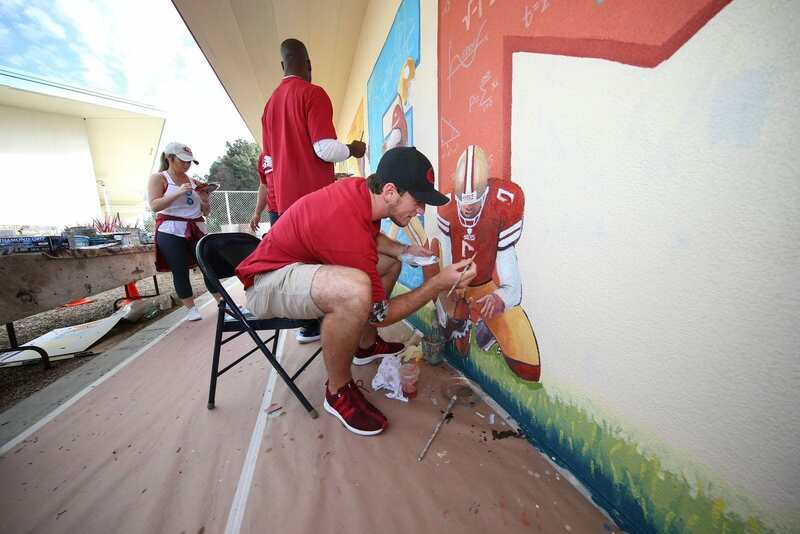 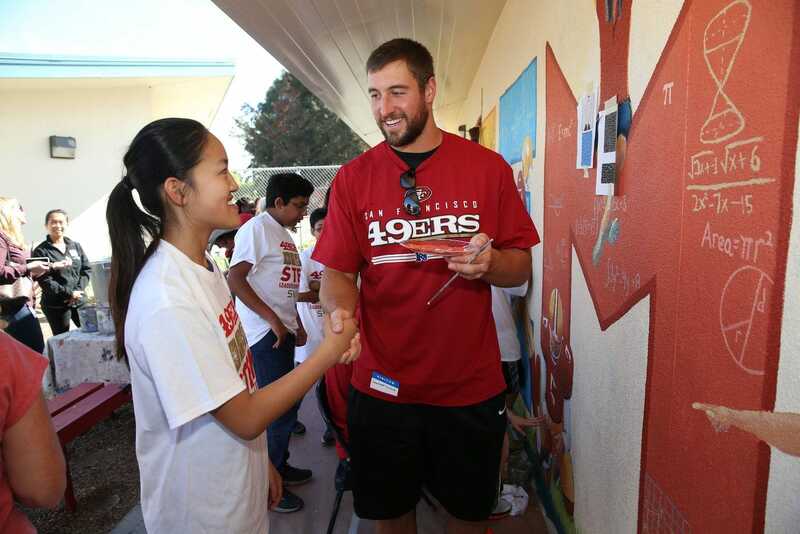 For more information about this mural project, read my blog post Teaming Up with the 49ers to Paint a Mural at Cabrillo Middle School.